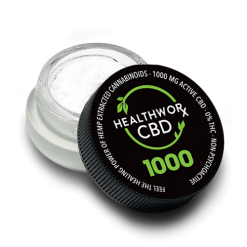 This sixty count bottle of hemp capsules contains a pure and potent blend of CBD and coconut oil in one easy to take capsule. Our assortment of 25 mg CBD capsules offer super high quality at a low price. If you’ve never tried CBD pills before, you may want to start with a low CBD softgel count. While you can’t really overdose on a hemp oil softgel, you want to make sure you’ll feel the effects as strongly as possible without building up a tolerance. The bottle contains 1500 mg of CBD by total volume and 0% THC! Yes, each hemp oil softgel is THC free. Why not try a CBD softgel for your health today? 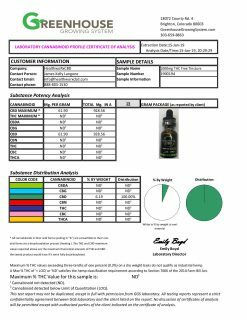 Each CBD softgel is filled with 25 mg of CBD Hemp Oil and Fractionated Coconut Oil, for a grand total of 1500 mg CBD — and 0% THC! 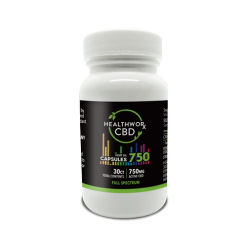 There are sixty 25 mg CBD capsules per bottle. We use ingredients you can read, see, and research on your own. No funny business or harmful additives here. Just the good stuff taken straight from nature. Hemp extracted CBD Oil takes health and wellness routines to the next level. Buy hemp capsules for the easiest way to take it. Browse through our collection of options to buy hemp capsules. These hemp capsules also contain MCT Coconut Oil, making them one amazing combination of two of nature’s most popular superfoods! 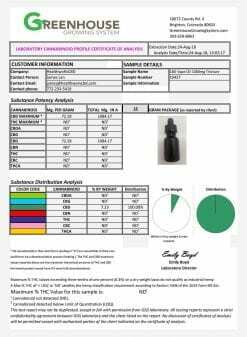 The hemp oil softgel bottle we offer here is proudly produced in Colorado, USA, by combining organic hemp oil CBD with MCT coconut oil and plant derived starches and cellulose. These are then all wrapped up into a golden vegetarian capsule. We love that you can quickly take these hemp capsules alongside any other supplements you already take throughout the day. You’ll be able to save time since you don’t have to measure out the correct dosage yourself. Plus, it’s our best mess free option — great for all of the neat freaks out there! Hemp capsules contain fractionated coconut oil and hemp oil alone — so no disgusting preservatives or other ingredients that you don’t need. This is an entirely natural combination of neuroprotectants, antioxidants, and cannabinoids. If you’d rather think outside of the standard CBD oil method, then we suggest that you try hemp capsules. On our website, you can choose from bottles that contain a wide range of amounts. From five to 30 capsules or 60 capsules, with total contents ranging up to 1500 mg of CBD. Of course, no matter the size you choose, you’ll still have a THC content of 0%. Want a bonus? The capsules are also full of naturally-occurring fatty acids, so that you can improve your concentration and your overall health. Using only pure and natural ingredients helps to ensure high quality and safety in our hemp capsules. Even better? Our CBD Pills are totally vegan and gluten free. When you buy 25 mg CBD capsules online, you don’t have to compromise your diet to do it. 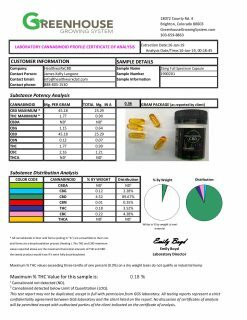 Of course, you should do your own research to see if these CBD pills might be able to help out with your condition. Always consult your physician if you have a medical condition or are taking any other medications prior to consuming hemp capsules! Note: Latest lab results available for product listed below. The nice thing about capsules is that you can’t really mess them up. Simply swallow them with a glass of water! As with other supplements, it’s best to take your hemp capsules at the same time every day. This helps your body to get into a routine and reap the benefits of CBD on a regular basis. Most hemp capsules can be taken on an empty stomach without any issues. This is another reason why they’re great for traveling or consuming on the go. However, some experts suggest taking your hemp capsules with a fat source, such as nuts or full fat yogurt. This is because cannabinoids can be absorbed better into the small intestine if they’re consumed with fat. Most hemp capsules will say on the label if they are vegan or vegetarian. Yes. In fact, combining your hemp capsules with a tincture or spray can actually help you better customize your dosage. This will make them even more effective and help you get the specific health benefits you’re looking for. When you’re combining different forms of CBD, just make sure you start small. You don’t want to accidentally take in too much too quickly. Many customers buy CBD pills but do not configure their dosage correctly. This is a common and understandable issue. Luckily, it’s also quite easy to correct it! Why correct it? There’s a huge reason why you should work to get your dosage of hemp capsules right! An incorrect dosage will mar the entire CBD experience. In fact, if you’ve tried CBD before but didn’t think it worked for you, this is likely the primary reason why! So how do you get it right when it comes to hemp capsules? Try starting out with a low dosage, as we suggest on the bottle. From then on, you can feel free to double or triple up every couple of hours until you have reached your comfort zone. Most important of all, we recommend that you research different dosages to understand their effects. In addition, it’s important that you know what you are looking for when it comes to hemp capsules. Rather than going for a high dose of CBD pills straight away, and thus not feeling the results, try to go slow and build your way up. Then you will create a more sustainable routine for CBD. Sometimes, the process of adding CBD pills to your daily routine requires patience. However, doing it this way is better than doing incorrect dosages and then not feeling the full effects of CBD pills like you should be. Many people prefer hemp capsules over other ways to take CBD because taking a pill is a fast, simple, and clean option. It really couldn’t be simpler or cleaner. In addition, it’s easier to measure the right dosage of CBD when you’re taking capsules. 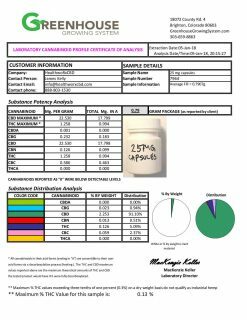 Each of the 25 mg CBD capsules contains a certain pre measured amount of CBD inside every pill. 25 mg CBD capsules are shelf stable. Also, they can be better for people who do a lot of traveling. They are super convenient and easy to travel with. In other words, when transporting 25 mg CBD capsules, you don’t have to worry about them breaking and leaking all over your belongings. This is a common concern when it comes to CBD oil, as it typically comes in a glass bottle. 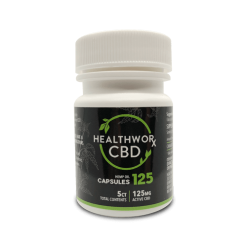 The fact that 25 mg CBD capsules are a seamless experience is especially true for people who are already in the habit of taking multi vitamins or other supplements on a daily basis. Simply throw the capsules in with your other pills that you take on the daily and you’re on your way! Combining your hemp capsules with a CBD tincture or spray can actually help you to better customize your CBD dosage. This will make all of the CBD products even more effective. Plus, it will help you secure the specific health benefits you’re looking for. Thus, when you’re combining different forms of CBD, you should make sure you start small. You don’t want to accidentally take in too much CBD too quickly. Read more about the benefits of 25 mg CBD capsules and how to choose the right capsules on our hemp and health blog.